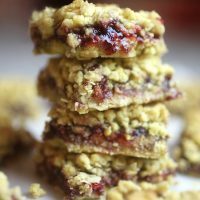 I mades this recipe like a hundred years ago around the holidays and remember really enjoying them even though there’s no chocolate in sight. Ha! Anyway, I had the urge to make them again this weekend and YAY had everything I needed in the pantry. And when I say everything, It’s like four ingredients which is awesome when you’re in the mood for a last minute, late night treat. It seems almost silly to show you the steps because this is so easy, but I will anyway. 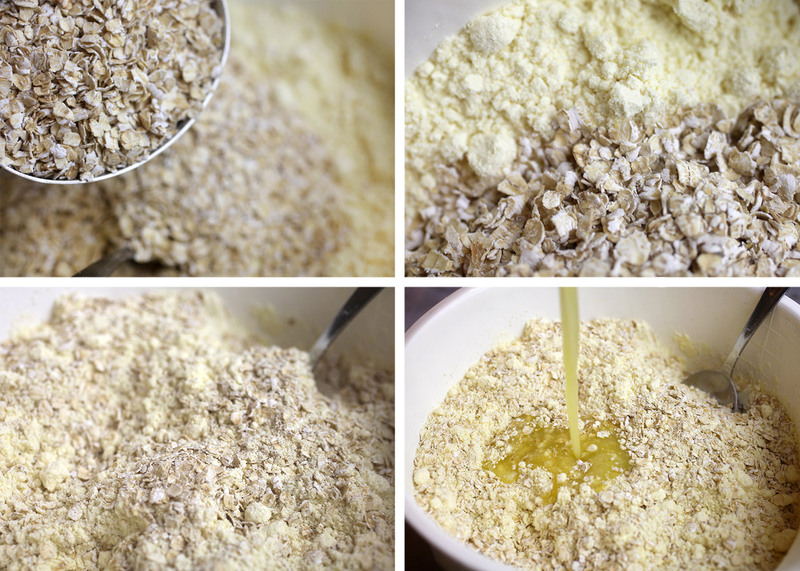 Stir together a yellow cake mix, some quick cooking oats and melted butter. 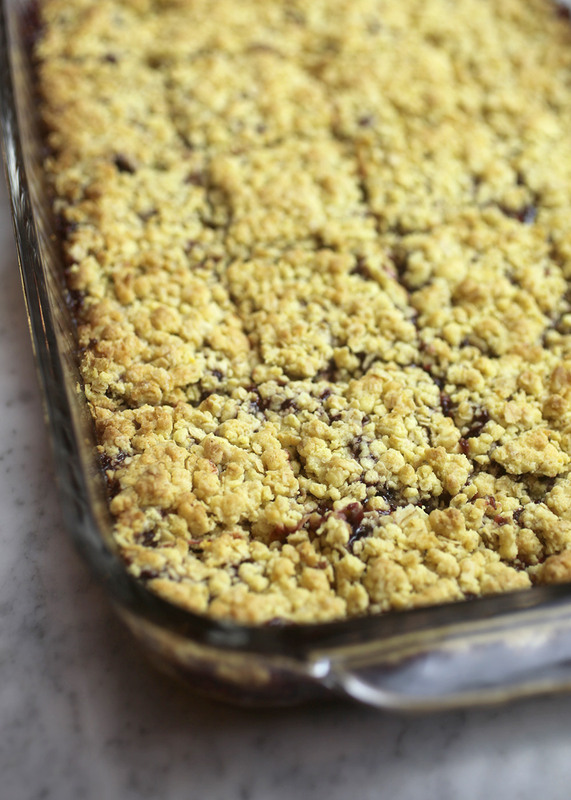 Mix together until the ingredients are crumbly and moist like this. 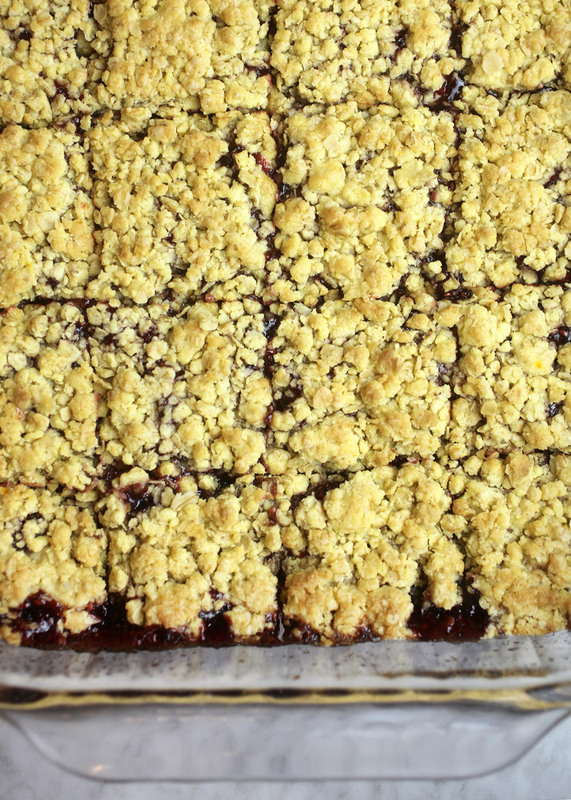 Then, just press half of the mixture into a 13 X 9 inch pan, spread some raspberry preserves (or other favorite fruit flavor) on top and cover with the remaining crumb mixture. Press the top layer gently on top and bake away. Voila! 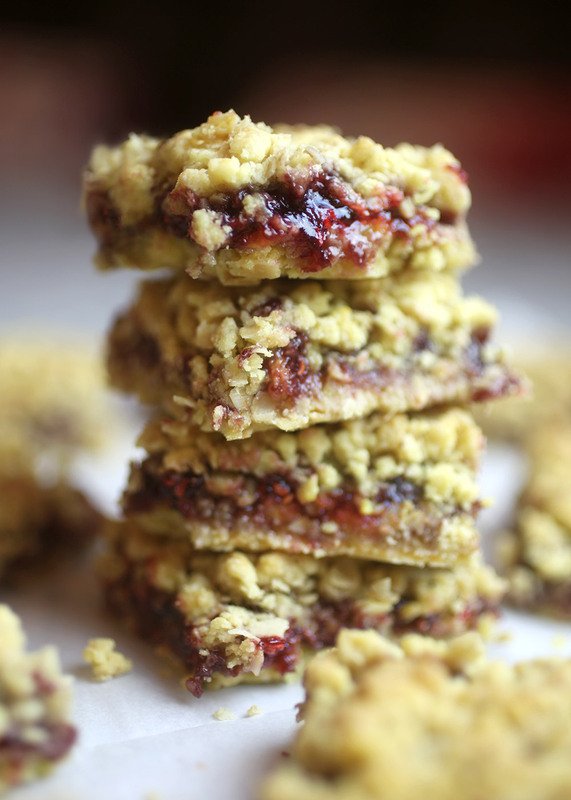 You’ll love these quick and easy fruit-filled bars! Preheat oven to 375 degrees Fahrenheit and grease a 9 X 13 inch baking pan. 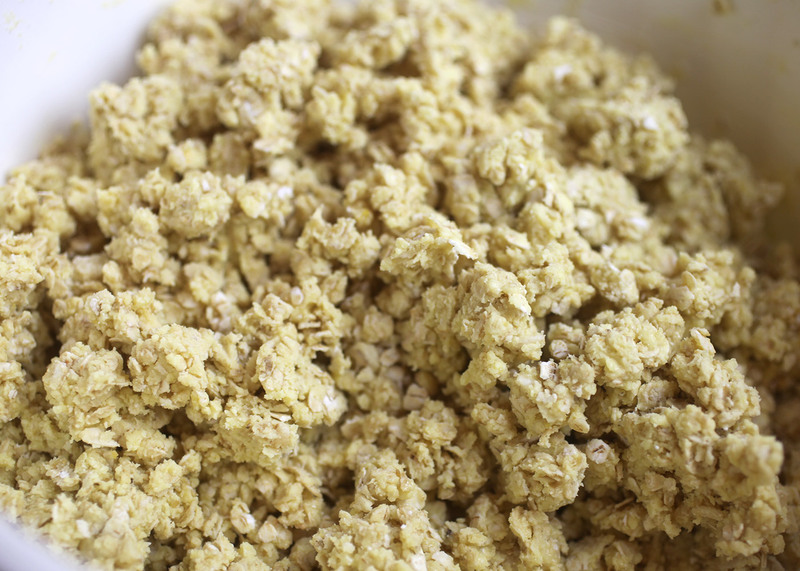 In a large bowl, stir oats and cake mix together. Add melted butter and mix with a spoon until combined and crumbly. 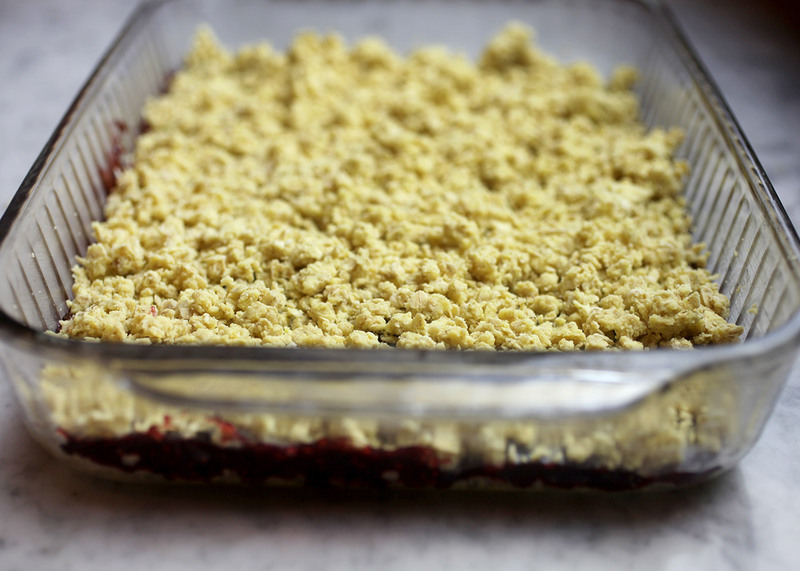 Divide the crumb mixture in half and press half into the bottom of the pan. Stir preserves with water and spread evenly on top. 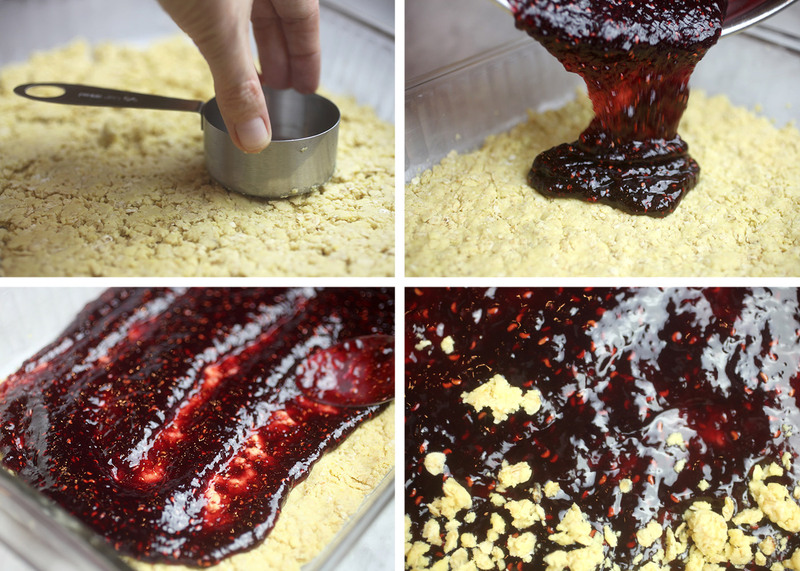 Sprinkle remaining crumb mixture on top of preserves and gently press together until even. Bake for 18-20 minutes or until crumb mixture on top is lightly browned. Cool and cut into 24 bars. Store in an airtight container.